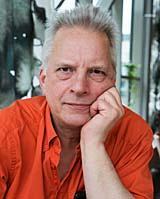 I'm a writer, artist, aikido instructor and historian of ideas - well, among other things. This is my personal website, with texts, images and videos. See the main categories on the top menu, or read about them below. I've been on the web since May 1995, when there was not much to be found on it, but everyone there had the tingling sensation of something spectacular. We were not wrong. For any author and artist, this instant connection to the world is ideal. No longer being dependent on publishers and other go-betweens is a blessing I wouldn't have dreamed of before 1995. Let's hope it stays this way forever. It's true democracy at work, for the first time in history. Caroline witnesses the agonizing death of her twin brother, when they are no more than 15 years old. Horrified, she feels that nobody should ever have to die. Then she discovers a hidden visitor to her home, who has the ability to live forever without aging at all. And this ability can be transmitted. As she gets to know the visitor, she finds that there are grisly downsides to such longevity. But events unfold, giving her little time to decide. Click the header to read more about it. 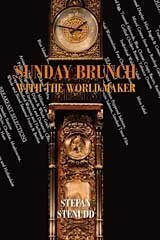 Treating himself to the luxurious Sunday brunch of the Waldorf Astoria in New York, the author is joined by a young stranger. At first, their conversation is all about the author, his experiences and thoughts on life. But as the brunch progresses it becomes evident that the stranger has a lot to say, too. The conversation slips into the mysterious, soon to burst beyond the realm of possibility. Click the header to read more about it. The peaceful martial art aikido can be described as philosophy in motion. I started to practice it in 1972, when I was 18, and I've been going on ever since. 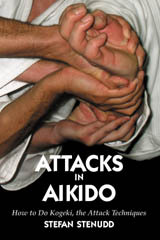 The aikido section of my website contains many texts, photos and instructive videos. I've taken up oil painting again, after years and years of pausing. Suddenly in the summer of 2014, I found myself producing more canvases than I've done since the 1970's, and I loved it! Click the header to have a look at them. Primarily, I'm a writer. Here is the webpage where I present all the books I've published in English so far. 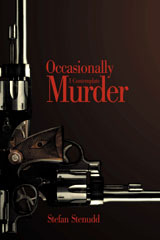 On this website you can also find some of my short stories that have only been published here. I've studied the history of ideas with great pleasure for a number of years. I'm still supposed to be working on a dissertation about the patterns of thought in creation myths. It will be a book one of these days, but don't hold your breath. 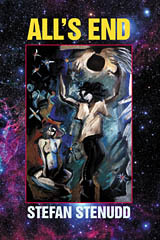 For now, you can find my texts on mythology and ancient cosmology on this website as well as another site dedicated to the subject. In my adolescence, I actually started painting professionally before writing any book, and had a few exhibitions. When the writing started to get serious, though, I only played with the brush occasionally (until quite recently). But I have always taken photos with some frequency, even a few videos. Have a look at some of my paintings, drawings, photos and videos. 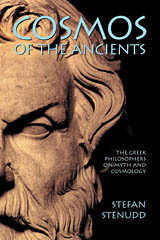 As part of my work on creation myths, I studied what the philosophers of Ancient Greece thought about the mythology of their time and the origin of the cosmos. 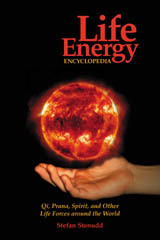 It became a book, but most of it can also be found on this website. Myths are stories, so I could not investigate their patterns without the guidance of Aristotle in his Poetics, where he explains how drama works. It's hard to leave Aristotle, once you've gotten familiar with him, so I've dwelt some more on him and his work. Read my texts about his life, his cosmology and his Poetics. Suddenly a subject intrigues me, and I need to write about it. That's my reflex as a writer, as well as my way of contemplating a topic. Click the header to read those essays. Contemplations about films, TV-shows, musical performances and more - what they mean and how their plots work. 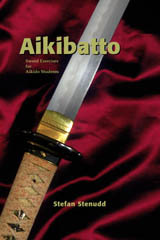 To help my aikido students learn how to work with ken, the sword, and jo, the staff, I developed a system of exercises that I call aikibatto. It became a book, too, but much of it can also be found here. 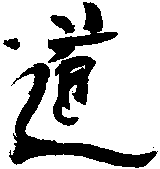 In aikido as well as the other Japanese and Chinese martial arts, the idea of a life energy called ki (also spelled chi or qi) is instrumental. Similar life force ideas can be found in many cultures all through history. As part of my research in the history of ideas, I made an inventory of all kinds of such concepts. I wrote a book about it, but most of it can also be found here. 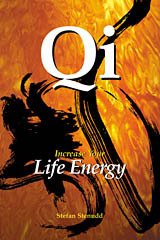 I've also explained the Eastern idea of ki or qi in more detail, and developed a number of simple exercises by which to experience and increase it. That became a book, but most of the material can be found on my website on that topic. Click on the header to get there. 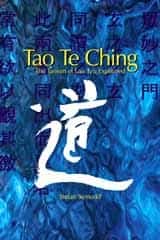 I've been a fan of the old Chinese classic Tao Te ching since I was about 20, and wrote a Swedish version of it that was published in 1991 (with several later editions). After years of hesitation I made an English version, published in 2011. 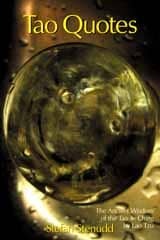 I also made a website devoted to that book and other Taoist texts, where you find my whole translation of the Tao Te Ching, among other things. 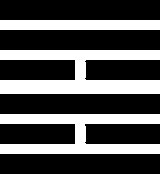 One of the oldest books of China is I Ching, presenting how divination is done with the 64 hexagrams. I made a website about it, where you can try it out online. Whatever you think about it, it's an interesting way of approaching ancient Chinese cosmology. 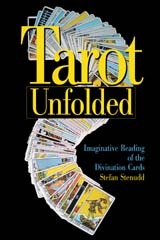 The Tarot is a deck of cards that has for centuries been used in divination. I have written a book about its imagery, history and principles. It is also a website, where you can get a Tarot reading online for free. 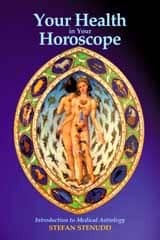 I came across astrology quite by chance in my early twenties, and was intrigued by the complexity so different from what horoscope columns in the newspapers indicate. I know it's a controversial subject, but it is interesting in so many ways - for example as a clue to how our predecessors thought about cause and effect in the world. Anyway, I've written about it - in books as well as on the web. If you want to know about complete classical astrology, click on the header to get started. If you want to know more about me, click here to read my bio. I also have a website in Swedish, with material about my writing, aikido and myths, but also some of the many texts I wrote as a rock critic for the newspaper Dagens Nyheter and as a restaurant critic for Sydsvenskan.